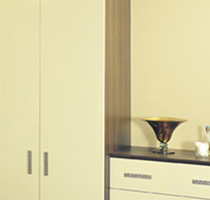 The dark moody Tobacco cabinets can be complemented with equal success using contrasting High Gloss Vanilla doors. Add the extra impact of quattro glazed doors in clear or frosted glass. 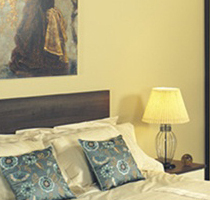 Matching headboards are also available in any of the colours and styles shown throughout the website. 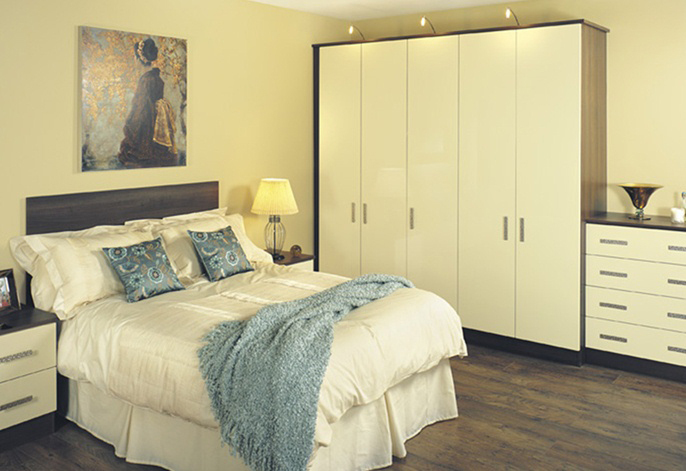 This is a made to measure bedroom. 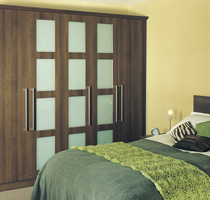 Any of the Glacier or super matt doors can be made to maximise every space in your room.